“Identifying a direct connection between the stimulation of neural circuits and game play is a key step in unlocking the potential for game-based tools to inspire positive behavior and improve health,” said Brian Knutson, Ph.D., Stanford University. In news that could shift how game developers and healthcare professionals harness the power of videogames to do good, HopeLab and Stanford University researchers today announced new data showing that Re-Mission™, a video game about killing cancer in the body, strongly activates brain circuits involved in positive motivation (1). This reward-related activation is associated with a shift in attitudes and emotions that has helped boost players’ adherence to prescribed chemotherapy and antibiotic treatments in a previous study (2). The study published today provides new insights into how these effects might have occurred, revealing that active participation in gameplay events is key to activating the brain’s positive motivation circuits. Seeing and hearing the same information without active participation in gameplay had no impact on activity in positive motivation circuits. A growing body of data shows that digital games can positively alter players’ attitudes and behavior. These data are driving a burgeoning interest in “serious games” and “games for health.” The identification of key motivation-engaging features of video games in this study may significantly enhance the ability to engineer play experiences to maximally influence positive health behavior. “Identifying a direct connection between the stimulation of neural circuits and game play is a key step in unlocking the potential for game-based tools to inspire positive behavior and improve health,” said Brian Knutson, Ph.D., associate professor of psychology and neuroscience at Stanford University and co-author of the article. In Re-Mission, players pilot a microscopic robot named Roxxi as she travels through the bodies of fictional cancer patients, blasting away cancer cells and battling the side-effects of cancer and cancer treatments. The study compared brain scans in 57 people who were randomly assigned to actively play Re-Mission or to passively watch the same recorded game play (similar to watching a movie, with the exact same information, but no direct participation in the gameplay events). 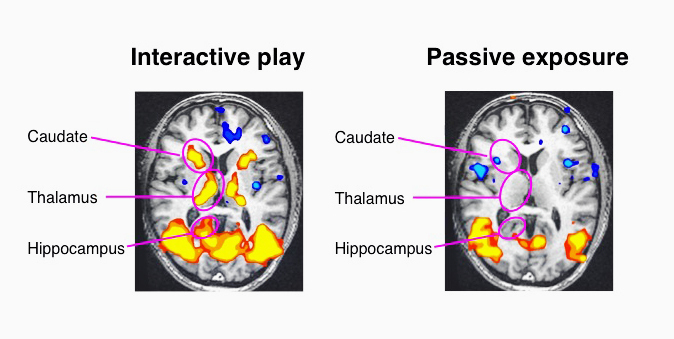 Results of functional magnetic resonance imaging (FMRI) showed that neural circuits implicated in reward (i.e., caudate, putamen, and nucleus accumbens) activated strongly while players were actively playing Re-Mission, but not when they were resting, or when other players passively observed the same gameplay events. Activation of the “mesolimbic” neural circuits stems primarily from game play (interactivity) rather than from sensory stimulation. According to Dr. Cole, HopeLab is now applying insights from this motivation-related research to the development of a new generation of Re-Mission video games for young cancer patients. Sponsored by the nonprofit organization HopeLab and conducted by Steven W. Cole, Ph.D. of HopeLab and Daniel J. Yoo, Ph.D., and Brian Knutson, Ph.D., both of the Department of Psychology and Neuroscience at Stanford University, this research appears today in the peer-reviewed scientific journal PLoS ONE. The full study manuscript is available from PLoS ONE at http://dx.plos.org/10.1371/journal.pone.0033909. 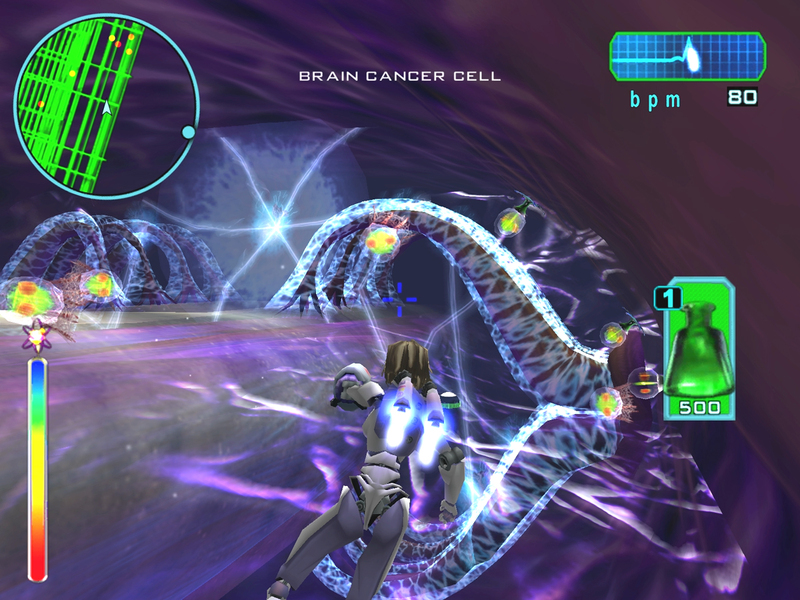 Re-Mission is a video game created by HopeLab specifically for adolescents and young adults with cancer. In Re-Mission, players pilot a nanobot named Roxxi as she travels through the bodies of fictional cancer patients destroying cancer cells, battling bacterial infections, and managing side effects associated with cancer and cancer treatment. Research published in the medical journal Pediatrics showed that playing Re-Mission improved treatment adherence and produced increases in self-efficacy and cancer related knowledge for adolescents and young adults with cancer. HopeLab has distributed more than 185,000 free copies of Re-Mission in 81 countries worldwide since its release in April 2006. Re-Mission is available to download or order online at http://www.remission.net. Re-Mission is also distributed through partnerships with organizations that support HopeLab’s commitment to provide Re-Mission free of charge to young cancer patients, including CIGNA HealthCare, the ESA Foundation, and Starlight Children’s Foundation. Re-Mission is rated T (Teen) by the Entertainment Software Ratings Board. Development of a new generation of Re-Mission games is currently underway and is sponsored in part by Vivendi, the Annenberg Foundation, Genentech Foundation, and the Lance Armstrong Foundation. HopeLab is a non-profit organization founded in 2001 by Board Chair Pam Omidyar. HopeLab harnesses the power and appeal of technology to improve the health of young people. HopeLab applies a research-based, customer-focused development model to create products that positively impact health behavior. For more information, please visit http://www.hopelab.org.